Hi Friends! 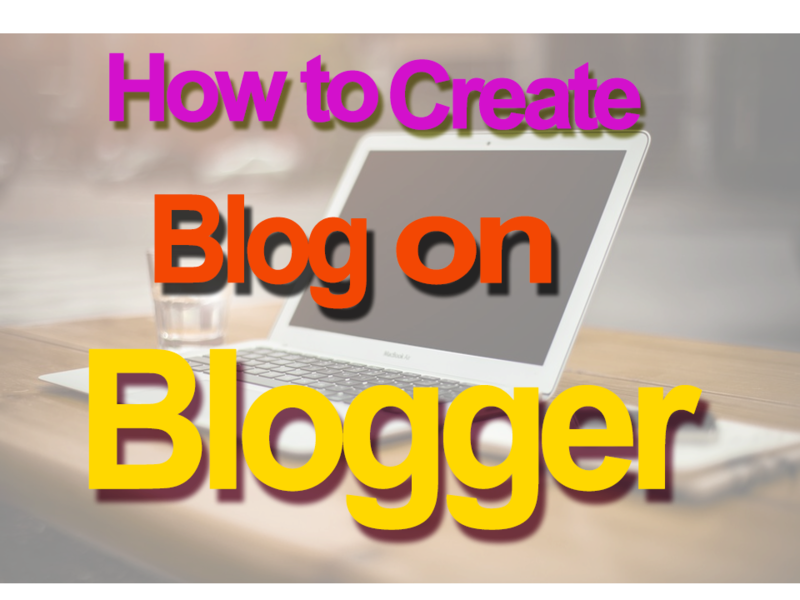 If you are a beginner and looking for information about How to Create a Blog on Blogger then this is the right place for you. Here we will provide all information in step by step. In this simple tutoreal we will learn How to Create a Blog on Blogger and How to create first post on that. There are lots of blogging platforms on the internet where you can create a blog for absolutely free. If you are looking for a simple blog, then I suggestion is that you start your blogging journey with Blogger. 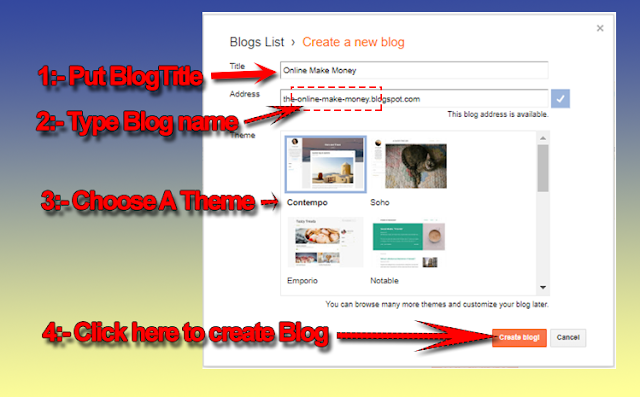 In this tutorial, we have try to explain the complete information for how to create a Blog on Blogger. Step-1 > Go to Blogger site and click on Create Blog. Step-3 > Choose Blogger Profile Name.Profile Name will shown in the end of the post you publish. After that click on Continue to Blogging to reach next screen. Then in address bar Text Box put your Blog Name. Blog Name consist with alphabet or number or both you can use dash(-) in between blog name also.In my case we use address “the-online-make-money” ".blogspot.com" will taken by Blogger automatically. After that choose a theme in List of Theme. Congratulation! 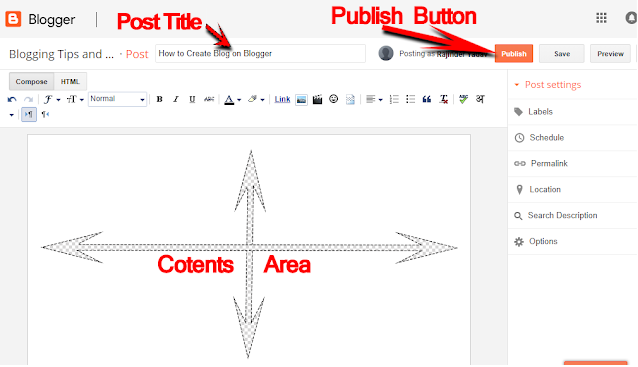 Now your Blog will be created and you will be able to access the dashboard of your blog. Click New Post that seem left upper side on the dashboard. As of now a Post-Editor screen show up. Here you can compose your great and remarkable article, give it an appealing title like How to Make money Blogging etc. The Title of the post is very Important , good and attractive title moves the viewer to peruse the post. After the Title and Contents are prepared, Click on the Publish button that spotted right-upper side on the post editor screen.Now your post will be live for everyone, anyone can see it anywhere worldwide. After publish your first post you can click on the View Blog link that spotted left-upper side and see how your Blog looks. Thanks to read the article 'how to create blog on blogger', if you like the post then share it on your Facebook and Twitter account. Hi friends! 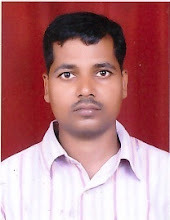 My name is Rajinder Yadav. I have Mastering Diploma in Software Technology, I have good knowledge in C and C ++ and besides I like writing Micro in Microsoft Excel. If you have any questions then about thease you can tell me, I would be happy to help you.